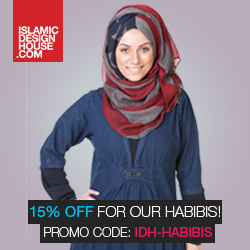 - make sure you enter to WIN, inshaAllah!!! With green eyes, glossy long black hair, latte-colored skin, and a generous dash of brain power, sixteen year old Farhana has everything a girl wants, including a handsome hunk of a boy who worships her, and a twin brother with equally good looks. Faraz however, born six minutes later, doesn’t quite have the popularity and brains of his sister. 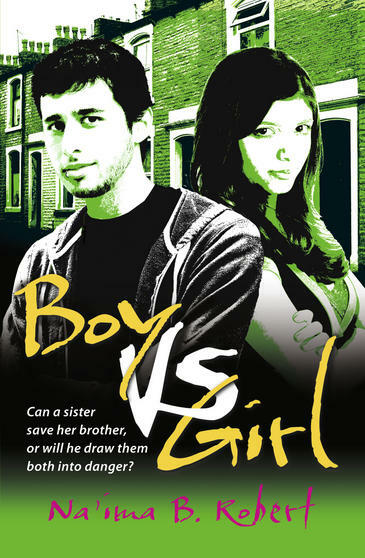 While Farhana excels socially and academically in an all girls’ school, Faraz, who attends a local public school, struggles with his grades, an enemy, and the dark world of drugs. However, Farhana is not without her own share of inner struggles. Thus the book is aptly titled Boy Vs. Girl. 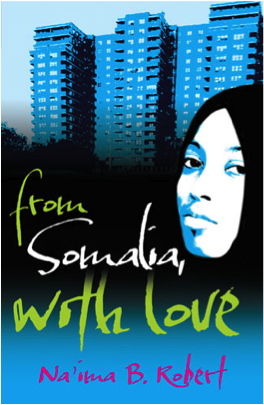 Just like in her first young adult novel, From Somalia With Love, Na’ima Robert provides her characters in this second book with a supportive young, single, about-to-be-married aunt, who carries the spiritual voice in the books, and whom the characters turn to. Fourteen year-old Safia had her Habareyo, who warns her of further associations with her wild cousin. Farhana and Faraz have Aunt Najma, a niqabi and black sheep of the family who shows up amidst pre-Ramadan preparations and takes them out for an errand. While their mother stocks the kitchen with enough food to feed an army, Aunt Naj gets the twins thinking about their spiritual goals for Ramadan over milkshakes. With a fresh start to a new Ramadan, the twins resolve to deal with their personal struggles, which include hijab, Skrooz, and Malik. Typical well-mannered Pakistani youths, Farhana and Faraz grew up learning to pray and read the Quran. But as far as modesty goes, there is no place for hijab, which is too extreme for the likes of their mother. So when Farhana makes the nerve-wrecking decision to put on the hijab, worrying about the reactions she would get at school, she faces problems even before she steps out of the house. Her mother vehemently disapproves and continues to make it difficult for her. Every girl needs a bosom buddy. So just as Safia has Hamida in From Somalia With Love, Farhana has Shazia, the Imam’s daughter, as her best friend, whom Faraz secretly admires. Shazia, who has grown up wearing the hijab reluctantly, reacts with horror and some protests when Farhana tells her of her decision to take hijab. This strikes me as ironic, having her hijabi best friend balk and oppose her decision, yet at the same time, because Farhana is strong-willed, this flip side provides her with more certainty. Shazia, like fourteen year-old Safia, grew up wearing the hijab. Both girls feel the need to be admired and to be seen as beautiful like their non hijabi counterparts. On the other hand, Farhana, a non hijabi views them as being lucky and protected, and journeys towards the hijab out of choice. ‘Tis true that the grass is always greener on the other side. In both books, both Safia and Farhana underwent their own personal journeys towards self esteem in hijab. In From Somalia With Love, Safia discovers the world of dating through her cousin. She finds herself in a dangerous and sticky situation that shakes her to the core, waking her up to realization of her ingrained Islamic values. Farhana, older and wiser, knows what boys really want, and doesn’t land herself in such situations, but instead strives to forget about Malik as per her Ramadan goal. I admire Farhana, at that age, for resolving not to have anything more to do with handsome Malik, especially when he clearly adores her. This inner emotional struggle, along with the hijab, weakens her especially when Robina, her good friend turned evil, maliciously brings in reports of his flings with other girls. Malik’s constant calls, which Farhana has managed to ignore, eventually makes it through by accident, and after hearing him say “I love you,” Farhana breaks down. To make it worse, her relationship with her brother has started to sour. In both books, Na’ima Robert expounds on a sister brother relationship. Safia’s older brother, Ahmed, whom she is close to, gets in trouble with the wrong crowd, as does Faraz. Unlike his sister, Faraz is not popular in school. In fact, he has always been treated as that scrawny soft-spoken kid, especially by Maj, who one day swipes a malicious hand through Faraz’s beautiful artwork to the horror of the whole class. Consequently, Faraz has a strong emotional need for acceptance. So when drug-involved Skrooz and his gang pay attention to him, Faraz succumbs to their beck and calls. Unlike in From Somalia With Love, where Ahmed’s troubles are not given in detail, probably due to the younger age of the main character, Safia, Robert goes into details in portraying Faraz’s dark world of drugs and women. Replete with Ramadan goals, Faraz was able to taste the sweetness of tarawih, Quran, and fasting in the beginning. At the masjid, he even made the acquaintance of Imran, who organizes a youth art program to which Faraz is drawn to. Things seem to be going so well for him; rich spiritual experience, good company, and the opportunity to utilize his artistic strengths to good use, that I found myself mouthing, “Oh man!” when Skrooz turns up and beguiles Faraz into his dark and evil world. The Ramadan that had begun so wonderfully is now marred by drugs, women, and fights. As Faraz plunges deeper in Skrooz’s world, he shuts off from Farhana. I felt myself yearning for the days when brother and sister would pore over the Quran together at the dinner table in the kitchen after fajr. Na’ima Robert has artfully woven a tale with unexpected twists and turns, that kept me emotionally riveted till the end. As I followed Farhana and Faraz along in their journeys, I couldn’t help but feel attached to them, like a niqabi aunt would. I had waited impatiently for Boy Vs. Girl while it was in the making, after being enraptured by From Somalia With Love. Suffice it to say, my wait has been duly rewarded. CONTEST DETAILS - make sure you enter to win, inshaAllah!!! Frances Lincoln, publishers of Na'ima's books have graciously agreed to giveaway 2 copies each of From Somalia with Love and Boy vs Girl, thats a total of 4 WINNERS! Follow the instructions below and enter as many times as you want to win! Contest runs until Jan 30, 2012 and winners will be announced shortly after! Not sure where to write a comment on the blog post so i'll do it here and on FB inshaa Allaah. My dad has been a huge influence when it comes to Islam. Alhamdulillaah he took the chance to go to Madeenah and study Islaam and since he has been back home he has been working at a school which focuses on Islaamic studies. He taught us what was right according to Islam from the time we were born and still allowed us to be who we needed to be as long as we didn't do anything haraam. This made it easier for us to love Islaam and its teachings. He is a person who people look to for advice and inshaa Allaah i hope I can follow in his footsteps. What a great initiative. Would love to read the books, insha'a Allah!!!! The person who has been the most influential, to me, in terms of Islam is not one person, rather I would say it is a group of girls that I befriended in 8th grade. They dont know that they influenced me as much as they did, but I dont think I would be the same person today if it were not for them, and the positive influence they were to me in terms of reading quran and attaining more Islamic knowledge. May Allah (swt) reward them greatly! When I was going into high school, there was one sister who was 2 years older than me who I would spend a lot of time with. We lived close by each other so we would carpool to school and I would just tag along with her to different events in the community. Then I started getting involved in the events and met more good people. I owe a lot to her and to this day, she is still almost like an older sister to me. My friends have been a huge influence for my current-day state. Because of them, I started fasting mondays and thursday. Because of them, I learned to give and never expect it back in return. Because of them, I learned not to judge; forgive and forget; and always to be kind even in state of anger. Because of them, I wear the Hijab confidently and proudly. Because of them, I am starting to wear the Jilbaab. Because of them, I try my best -ihsaan. And because of them and Allah's mercy, I am what I am today. That's all. My positive influences were 2 sisters back when I was in gr 2 or 3. They were older and both hijabis and I'd see them at the mosque all the time. I was too shy to talk to them but I wanted to be just like them when I got older. Hijab seemed so cool, hanging out at the mosque seemed so cool - being them seemed cool to my little self :) Alhamdulillah it set me up nicely for following Islam. My most positive influence was my grandmother who has passed now. It is because of her that I have hijabs to pray and go out with. I used her used jilbabs to go to masjid for Ramadan and Eid with when I first became a muslim 6 years ago. I pray on her prayer mat. I have her tasbih. It was because of her I got my first Quran. My cousin gave me a book of Sahih Al Bukhari from her after she passed. I am the only full time hijabi on my mother's and father's side. It's funny because my mother's mom and my father's mom were the most religious in our family. They both prayed 5 times a day. They are both passed. They are my inspiration. I am who I am because of them. May Allah bless them and all grandmothers Ameen. May Allah grant them Jannat-ul-Firdous...Ameen Ya Rabb.